Efficient and reliable. Slide-on technology for numerous tried-and-tested applications. The Nexis Slide-on series has been designed for a wide range of kitchen, bathroom and living room furniture door applications. 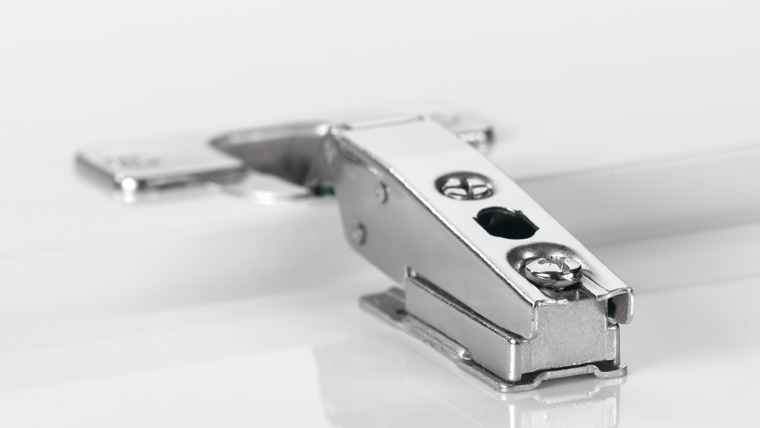 A reliable hinge series with opening angles from 95° to 270° with a wide range for everyday service. 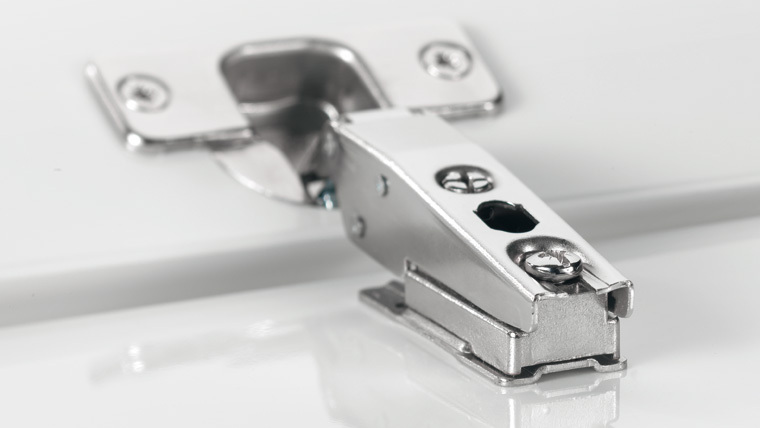 Nexis Slide-on offers hinges for many applications such as for rebated doors or protruding posts. Fixing of this hinge series is to the door using screws or dowels. There are clear advantages in this short slide-on distance: with tall doors it is possible to fit the Nexis Slide-on hinges in sequence from top to bottom, sliding on each one quickly and reliably without jamming problems.